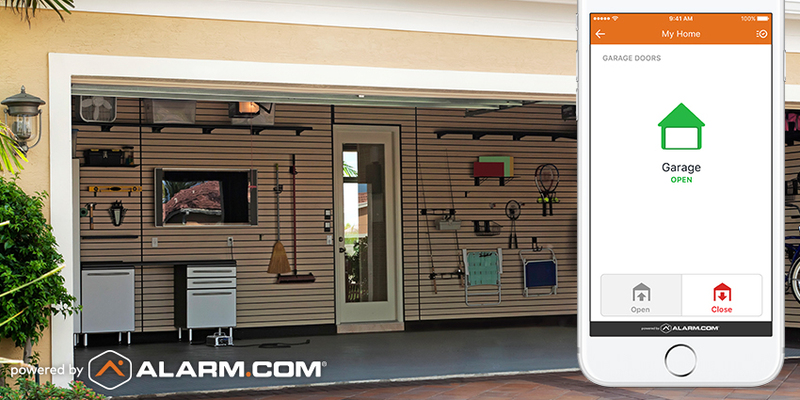 Alarm.com's Smart Home Security helps you protect and control the entire perimeter of your home – including the garage. Here's what it will give you. Most garage doors made after 1998 can be retrofitted to integrate them into a Smart Home system. For more details, ask a local Alarm.com service provider. You'll always know when the garage door is opened, and our exclusive image sensor will detect movement and send you a picture of what caused it. If you add a video camera to your system, you can record a clip automatically every time the door opens and have it sent to your phone. Interested? 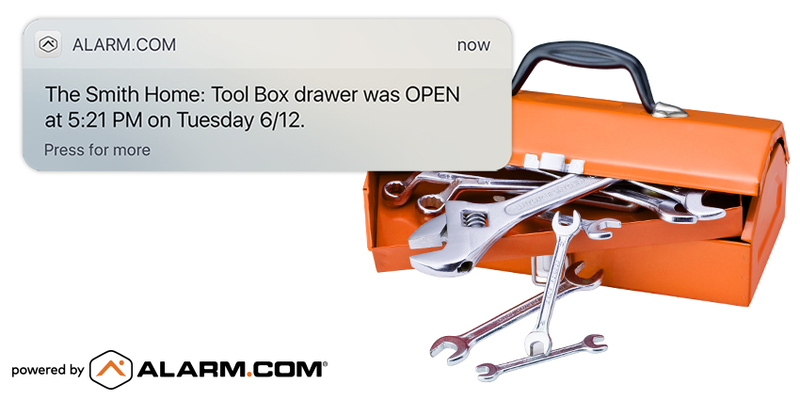 Click here to connect with a local Alarm.com dealer today.